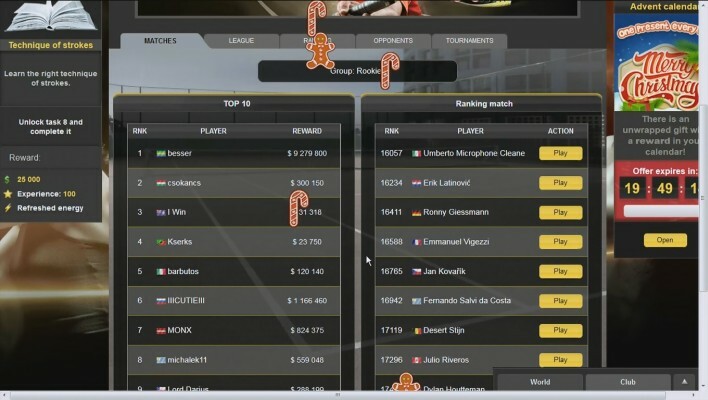 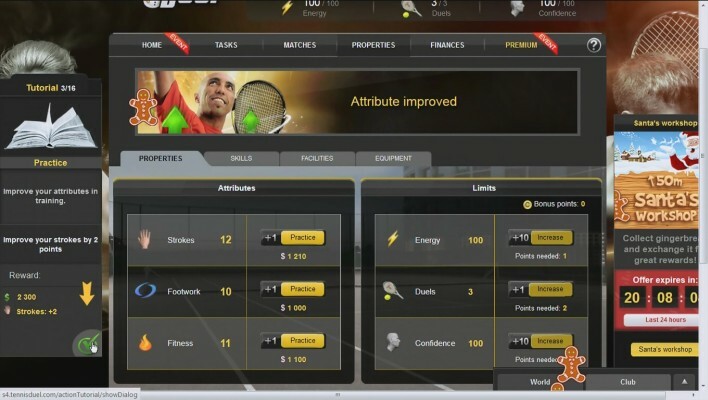 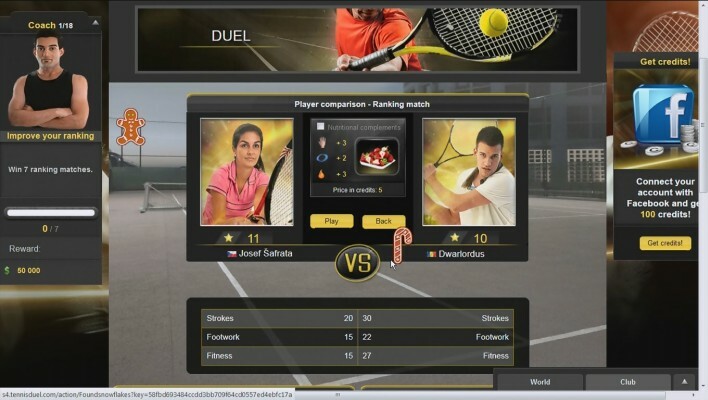 Tennis Duel is a Free to play [sport manager] Tennis MMO Game where you can live the life of a tennis professional and playable in any Browser. 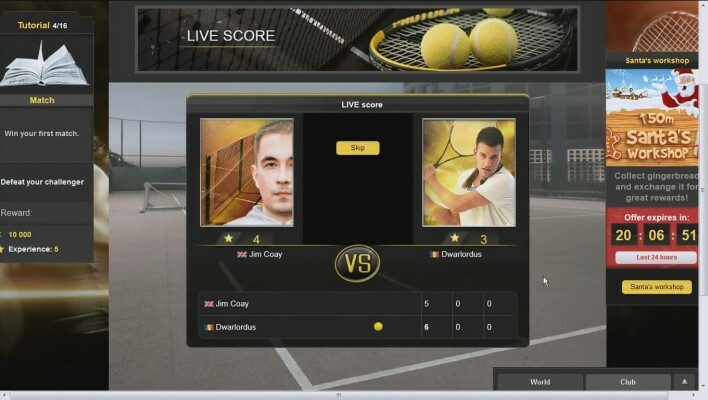 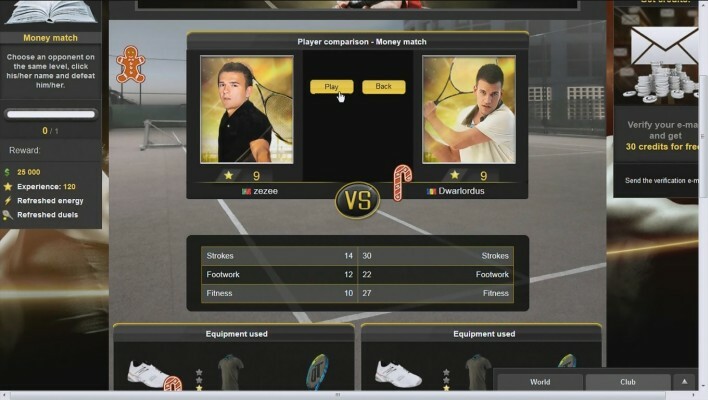 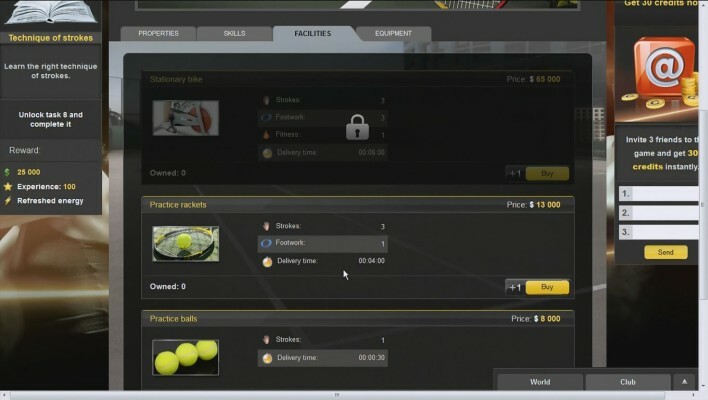 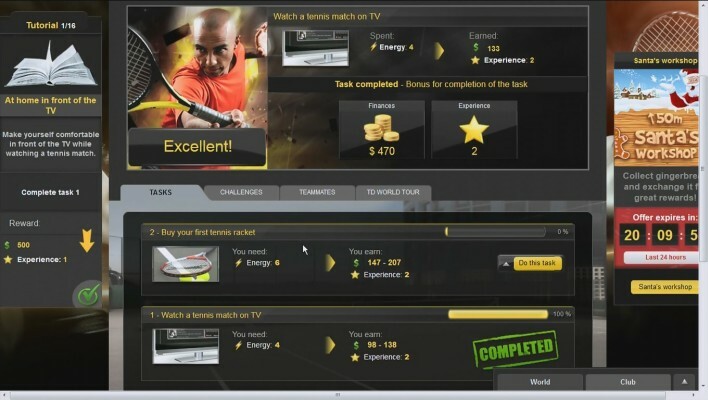 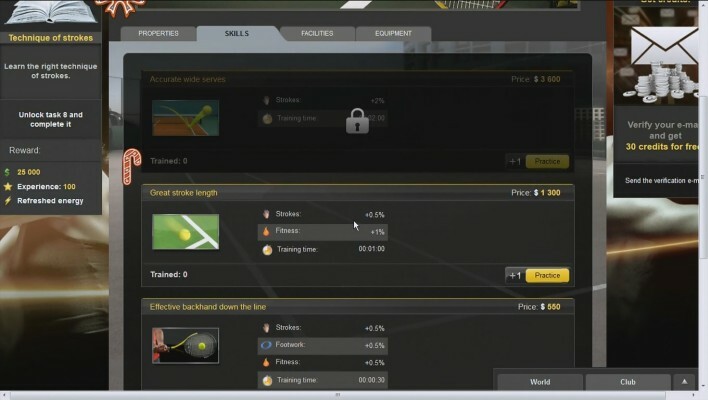 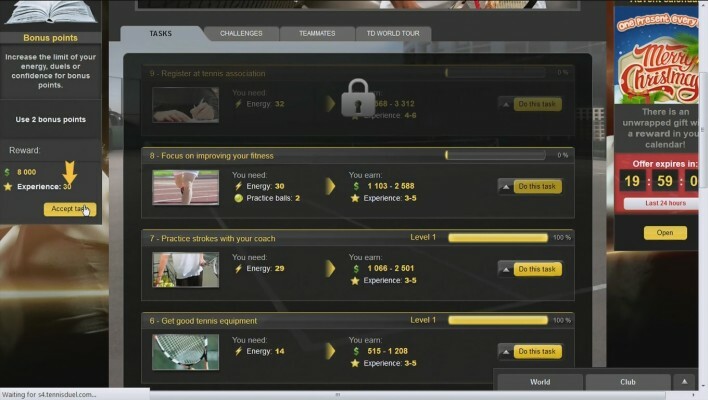 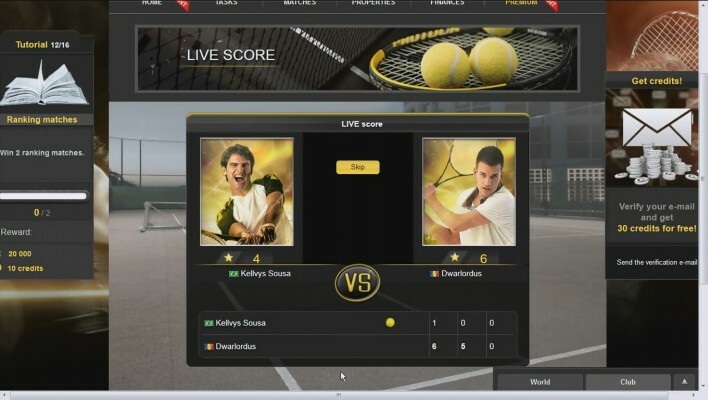 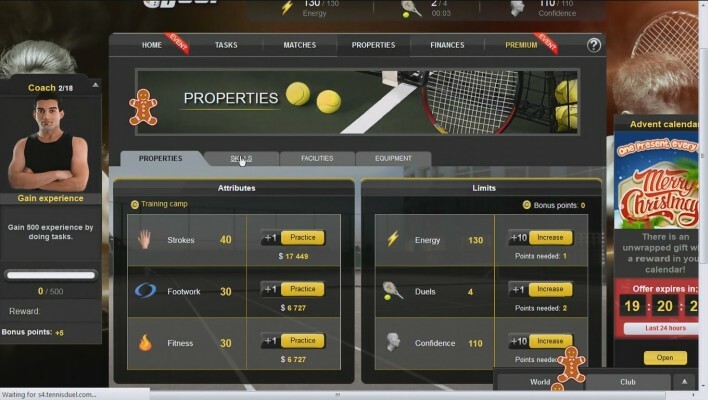 Tennis Duel is an online tennis game that puts you in the shoes of a tennis player. 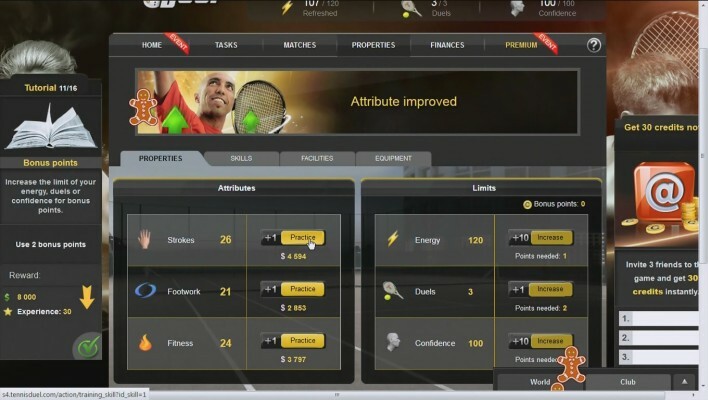 Your task is to work you way through the ranks, from amateur status all the way to the elite company of the best online tennis players. 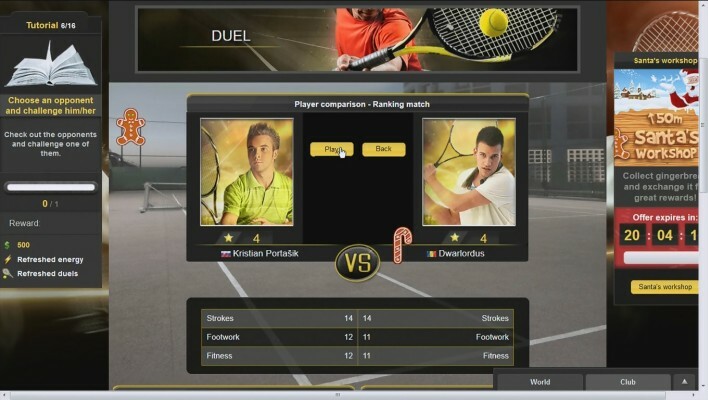 Tennis Duel is a great sports game where you can live the life of a tennis professional and become a world number one. 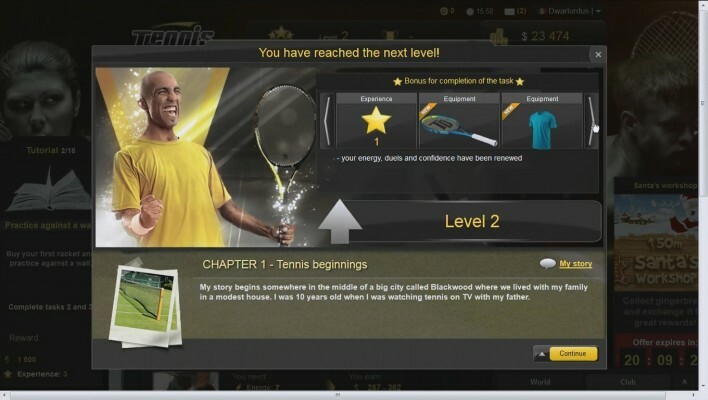 Win trophies in various tournaments, become a member of a tennis club and play against tens of thousands of players from all over the world!